Prime Steak Concepts | Youtech. Fine dining is about doing the “small” things with more intention. The way a server puts down a plate, a sommelier pours a glass of wine, or a chef spoons sauce over a dish are like notes in a symphony. No one is more important than the other, but each is critical to achieving perfect balance and harmony in the dining experience. Who is Prime Steak Concepts? This precision and appreciation of the guest experience are what Mastro brothers Jeff and Mike Mastro have achieved through Prime Steak Concepts. After selling their Mastro’s restaurants, the brothers partnered with their father, Dennis Mastro, and Scott Trolio to form Prime Steak Concepts. Their concept Dominick’s Steakhouse opened in 2011 in Scottsdale, followed by Steak 44 and two Steak 48s in Houston and Chicago. The Mastro brothers’ primary focus is to redefine the classic American steakhouse. With each concept, Prime Steak Concepts aims to elevates traditional American cuisine into a stunning presentation of fresh, chef-sourced ingredients in an upscale environment. The fine dining world should approach marketing with the same tact and methodical prowess that chefs approach their dishes. Noting our previous experience with restaurant groups in Arizona, Prime Steak Concepts gave Youtech the opportunity to cook up a menu of digital marketing strategies for Steak 44, Steak 48, and Dominick’s Steakhouse. Every industry has its peculiarities, but the restaurant and hospitality industry is a different breed. Marketing for a restaurant mimics its operations: You have to be quick, correct, and authentic to delight guests. For Steak 44, Steak 48, and Dominick’s Steakhouse, Youtech implemented a series of SEO, Facebook, and Instagram strategies that would work together to give the concepts the best chance to book reservations. Leveraging platforms used most by the target demographic, we charted the course for where consumers would find their next meal. No other industry takes business listings quite as seriously as the hospitality and restaurant groups. And with good reason: Most consumers will make their decisions based not what’s on your website, but on the information, you have in your Google My Business (GMB) listing. This goes beyond your business hours to include reviews, videos, menu previews, and more. Optimizing local search citations and enriching Google My Business listings would be a priority in guiding the right visitors to Prime Steak Concepts restaurants. Facebook changes its algorithm faster than we change our socks. Its most significant change for marketers came when the algorithm reformulated to prioritize meaningful interactions between people in news feeds, meaning posts from business pages now stood a reduced chance of being seen by users. Despite this, Facebook is a ubiquitous part of daily existence that helps businesses do what they really want to do – connect with people. Youtech viewed this ruling with glasses half-full for companies like Prime Steak Concepts, who already put the customer experience at the center. We would create new interaction opportunities by publishing relevant topics at peak times to delight customers, not spam them, and engaging the page’s following. We eat first with our eyes. Whether we’re hungry or not, the second our subconscious locks eyes with a tasty selection, we’re thinking “I’m going to eat that.” That’s why Instagram is so important for restaurants. It’s a collection of individually delicious morsels that tell a story and depict an experience you can only feel by being there. 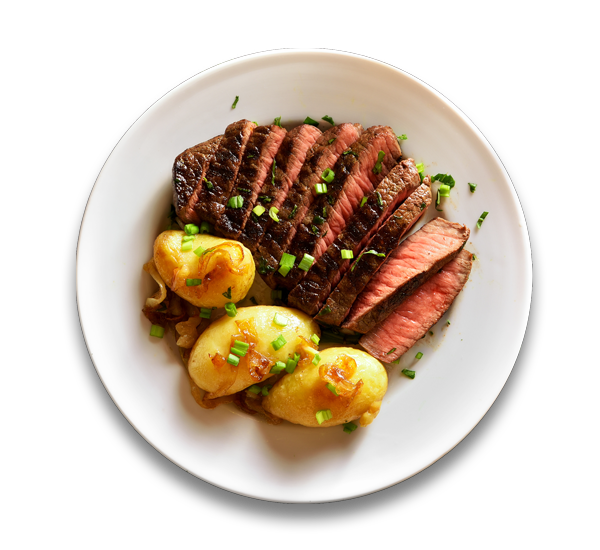 Chronicling a restaurant’s operations, showcasing menu times, introducing new or signature dishes, and promoting news are just some of the ways Instagram would be used to invite followers into the world of Prime Steak Concepts. The only thing worth drooling over other than the food is the results we received from our integrated strategies just five months later. If you thought the steaks were juicy just wait until you see these numbers, they will rock your world. Don’t say we didn’t warn you. Voted as the best steakhouse in the Valley in 2018, Steak 44 (named after its location on 44th Street and Camelback in Phoenix) is renowned for its legendary USDA prime steaks. Serving the highest-grade Waygu steaks in Phoenix, its steaks can be topped with foie gras, burrata, or black truffle-sauteéd Maine lobster. The appetizers, sides, and drinks menu options are made to bring out the best in the beef. Much like their sister restaurant Steak 44, the Steak 48 (a nod to Arizona being the 48th state signed into statehood) restaurants are upscale chophouses serving the best quality prime steaks, seafood, and shellfish to Houston and Chicago. Master butchers custom cut 28-day wet-aged steaks by hand before cooking them in 1800-degree broilers. The restaurant chefs also use local, fresh ingredients to cook up unique, memorable spins on familiar flavors. No matter where guests were eating Steak 48 food, unparalleled quality – with Arizona roots – awaited them. Dominick’s Steakhouse is the epitome of a luxurious dining experience. The magnificence of the restaurant is apparent from the second you’re ushered inside by a red carpet and lay eyes on the lavish six-foot chandeliers. It is a luxurious departure and a world all its own, but still reverent of the beauty of Arizona. Guests seated upstairs can sip on a cocktail and enjoy an a la carte, locally-sourced steak dinner while taking in views of the desert sky. Let us wine and dine you for a change. At Youtech, we believe quality output necessitates quality input. Our clients are always served the best of everything we have to ensure their experience is five star. It’s taken a while, but we’ve mastered the intentional details that make our agency worthwhile. Have a lot at steak? Our knives will cut through it.